Unboxed - Blog - What should be in your “innovation kit”? Blog / What should be in your “innovation kit”? Over the last few weeks, we’ve been running a number of Innovation Surgeries. These are two-hour sessions with product and digital teams to begin exploring how they can do things differently within their teams and organisations, introducing a sense of “innovation” in helping them go forward with their customer offering. Of course, an Innovation Surgery is just a small snapshot into what “innovation” really looks like in practice. These materials help support what we’re doing, but they’re just a small selection of the materials that we usually bring along when collaborating on a project. So, what are some of the materials that our teams generally use when on a project? What should you bring along with you to support an innovation kickstart? What should be in your “innovation kit”? 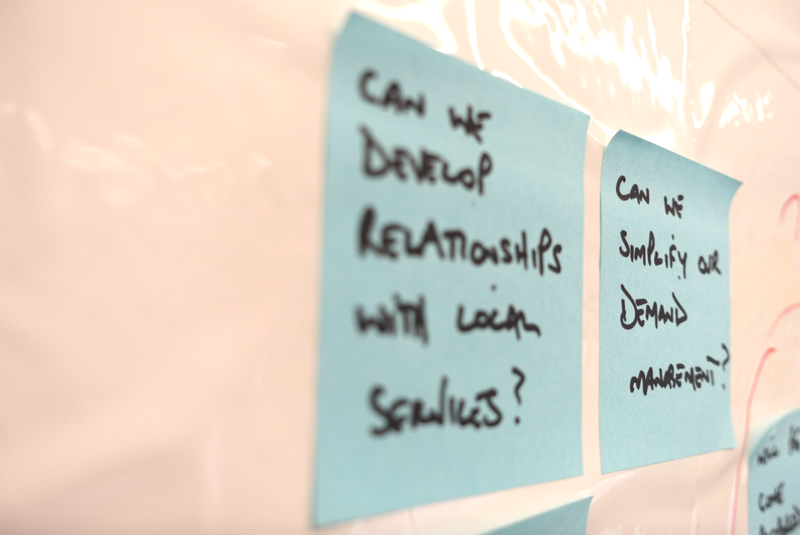 Post-its help your team visualise everything, from early individual user needs through to helping you get to grips and make sense of complex systems. These can be easily rearranged, allowing your team to just start thinking and writing, then making any changes later. Because they’re small, this makes it much less daunting to start writing, rather than being faced with a big wall or whiteboard. They’re also easy to throw away and start again. As an active team, you’ll go through a lot of post-it notes. If you’re not using post-its, cutting up some small pieces of paper and sticking them to the wall works wonders too. You have something to write on, now you need something write with. Sharpies are bold, making any key words you write a lot easier to read (the same as any other marker pen). If you’re standing in a room with your team and stakeholders, facing a wall full of post-its, then you have to be able to see what you need to be looking at. A post-it written with a marker pen is much easier to read at a distance than one written in biro pen. Writing with a thick pen means you also can’t be too precious with your writing or drawings. If you can’t be too detailed, it means you get to the crux of the idea quickly (whether it’s a word, phrase or a drawing) without wasting time on extraneous detail. “Could it be magic?” - yes, it could be. Magic whiteboard is your very own “wall from home”. Think of an actual whiteboard as the “gold standard”, but in lieu of this the magic whiteboard is nearly as good (just not quite!). If you’re on the move, which you will be regularly during your project, then this is the temporary surface for you. 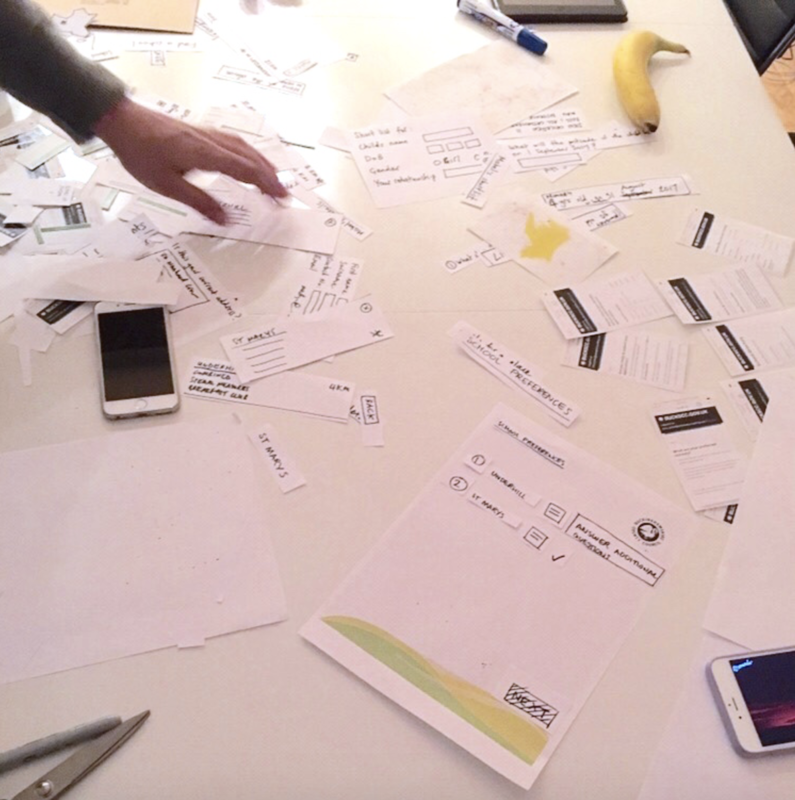 It sticks to most flat surfaces so can be used across a wide range of key activities, from sketching out user journeys to exploring stakeholder mapping, even for your team retrospectives. It’s also reusable, so can be used again and again. We use Magic Whiteboard - it hasn’t failed us yet, but sticking a piece of flipchart paper onto the wall also gives you a good board to work on too. These are for when more developed ideas begin appearing and you need a place to write these important things down. 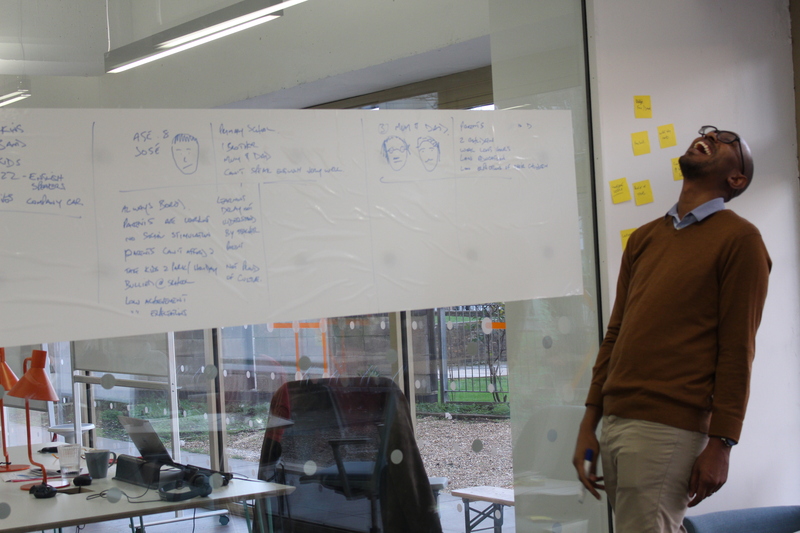 They’re also very useful for sketching out your user personas. Less flimsy than post-its, with index cards you’re able to assign individual stories to each one, allowing you to re-prioritise your roadmap by simply laying them out on the table and shuffling around the order, based on your changing requirements. If you’re not using index cards, cut up some bits of normal card into sheets of A6 to use. This is for when you need to get your index cards onto the wall. Maybe for a Show & Tell, physical project board or a planning session. Sticky tape does a similar job too. These tiny dot stickers are very useful when quickly deciding within your team. One dot vote per person quickly visualises where the majority decision within your team lies. You don’t have to use dots though, drawing a big circle with a pen gets you the same result. Take as many photos as you can: of the things you’re doing, the customers you’re speaking to (with their permission, of course) and the team you’re working in. You can use a camera or your phone. Photos show your team in action and also help your stakeholders visualise the journey you’re on too. Whether it’s interviewing a customer, snapping your retrospective board or capturing a workshop you’re running - photos are always useful. They also make for engaging social media content for sharing what you’re doing with your wider network. If your user research strategy involves recording your conversations and interviews, then you’ll need a good microphone to ensure you’re capturing everything you need. Your phone should have a decent audio recording feature to do this. We try to use the Blue Microphones Snowball USB Microphone - it’s lightweight, records clearly, it’s easy to move around and the legs fold in for extra convenience when on the move. Not only good for using to make notes, but this helps as the starting point when sketching your early ideas for solutions or product concepts. When you have an idea in your head and just need to get it down. Taking this to the next stage, you can also begin paper prototyping these early ideas. Doing things such as ripping out concepts for clickable buttons on a webpage gives you something to begin with as you interview your customers and gather their feedback. If you like to be a little neater in your paper prototyping, there is an option for scissors too. Each working wall is different for each team and project, but provides a permanent platform to share what you’ve been doing. It might also help encourage other stakeholders across your organisation to ask questions and get involved. If you’re looking to kickstart innovation within your team and/or organisation, it would be fantastic to hear from you. Drop an email to hello@unboxed.co to tell us more about you and what you’re aiming to achieve through this. We’ll also send you your very own “innovation kit” (minus the wall) to help get you started on your journey.